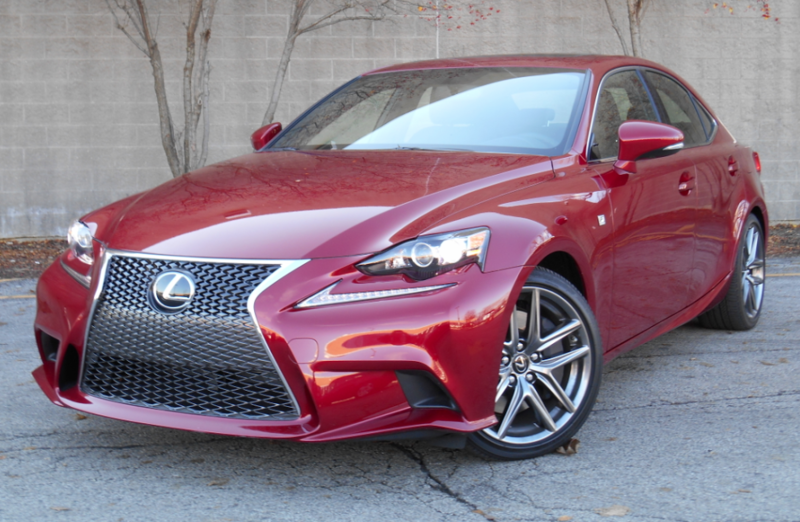 Our well-trimmed IS 350 AWD came to $50,164 on the sticker, including the $3160 F Sport package. AWD IS models start at $42,595 including destination. There’s an uncomfortable truth to which a lot of premium compact sedans like the Lexus IS have to own up. They can be a little cramped—which can make somebody who has shelled out at least 40 large for one feel a little pinched. People often buy them as the lowest-cost way to obtain a high-status nameplate, but if your idea of luxury includes being able to enjoy a comforting perimeter of personal space, these aren’t always the cars for the job. In the IS, and a few of its ilk, you can’t get away from the notion that you’re breathing somebody else’s air—even if it is passing through a filter in the climate-control system first. The $3180 F Sport package, among other things, substitutes “silver” trim for the wood-grain accents found in other IS models. At least the king will have to put up with no more than two backseat subjects harrumphing seditiously under their breath about the tight fit. A tall, square driveline tunnel absolutely rules out carrying a middle-rear passenger. Head room is limited under a sloping roofline that, along with small footwells, complicates rear-seat entry and exit. The sleek roof also extracts a toll in over-the-shoulder and straight-back vision. While we’re sizing up the 2014 IS, trunk space at 13.8 cubic feet roughly splits the difference between that of the two aforementioned competitors. The IS trunk narrows between intrusive wheel houses, but a new fold-down 60/40 rear seat extends potential cargo capacity. Inside, the console box is smallish, but door map pockets are generous. So much for the unpleasant realities (or at least most of them). Among the tradeoffs that make many premium compacts desirable are that they are the right size and come with sufficient power to make them fun to drive. That’s the IS350. Its 306-horsepower 3.5-liter V6 is revvy and refined, with fine power delivery in most every situation. The test vehicle was an all-wheel-drive 350, which comes with a 6-speed automatic transmission. (Rear-drivers have an 8-speed autobox.) It slid from gear to gear without hesitation or harshness while set in “normal” or “sport” mode. If anything made a particular impression by switching between modes via the console-mounted selector dial, it was steering feel, which went from fine to great. The F-Sport package added to the test car includes, among other things, an adaptive variable suspension and staggered-dimension 18-inch wheels. With them, cornering lean is well mitigated and ride is firm, but not brittle. 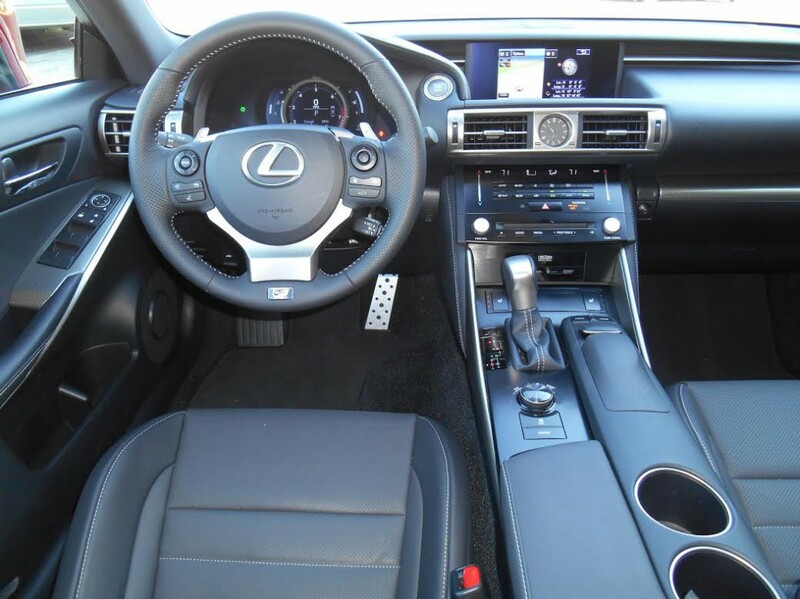 There is a luxury look and feel to the IS350’s cabin, especially with the F-Sport option that adds sport seats, a perforated-leather wrap for the steering wheel and shifter knob, and metallic trim around the interior. Also available at extra cost on the test car were a navigation system/rearview camera/Enform infotainment system packaged, in this case, with a premium audio system. The navigation and audio displays show up well on the large screen, but accessing and manipulating these functions requires working the mouselike Remote Touch lever on the console, which takes a lot of hand-eye coordination that, in one man’s opinion, would be better focused on driving. It’s often difficult nowadays to find justification for a “premium” vehicle–and its attendant higher price–largely because “regular” counterparts have gone so far upscale. But in the case of the Lexus IS, that’s not so much of a problem. As a rear- or all-wheel drive sedan with a powerful V6 engine, the IS doesn’t really have a counterpart in the regular compact-car class, which is dominated by front-drive four-cylinder sedans. Ditto for midsize cars, even though a (diminishing) few still offer a V6 option. Among other premium compact and midsize sedans, however, those IS attributes don’t really stand out. Which means it has to make its mark with other merits. The IS has been redesigned for 2014, and although the end result may be debatable, there’s no question that styling is more expressive, both inside and out. That’s not really what we judge here, but in both cases, functionality is affected. The silky 3.5-liter V6 found in IS is factory rated at 306 horsepower, and feels every bit that strong. Too many cars of late have sacrificed visibility for some odd sense of “beefy” styling, but that’s not the case with the IS, which benefits from relatively slender roof pillars that allow for fine outward visibility. Also helping when backing up our test car was a wide-angle rearview camera, which—surprisingly—is not standard, and rear headrests that retract far enough to avoid blocking your view. Inside might be a different story. It’s hard to say that “styling” is what’s at fault here, but some interior elements are decidedly questionable. In terms of control layout, Lexus has long used a dashboard screen and console-mounted joystick to adjust infotainment settings, and even our staff is divided on how well that works. Like many others of its ilk, it gets easier with familiarization, but I’m still not a fan. The joystick felt “notchy” in our test car, and cursor movement on the screen seemed to lag behind joystick movement. Worst of all, it takes several steps—and a long look at the screen—to make what should be quick and simple adjustments. Furthermore, the climate system consists of repetitive-step pushbuttons for mode and fan speed, and a sliding bar for temperature, none of which work as well as simple rotary knobs. These problems have become almost a universal plague in high-end vehicles with lots of electronic features, and to be fair, the system Lexus uses is hardly the worst; it’s just that commonly used functions are infinitely easier to execute in your average $15,000 car. Normally we can cover an assessment of the instrument panel (which holds the gauges in front of the driver) with a quick “clear and easy to see” description, but the one in the IS we drove merits a few more words. To access some of the settings (compass, trip computer, etc), you push a button on the steering wheel, and the central-mounted “watch face” tachometer with digital speed readout physically slides to the right to reveal a large screen for the readouts. It’s kind of neat, but the readouts could easily be constantly displayed at the outside edges, where there’s plenty of blank space. Many of the IS’s direct competitors (from a price and performance standpoint) are actually midsizers rather than compacts, and that gives them an edge. Even for my average-size frame, the IS can charitably be called “cozy” inside, though that’s largely a function of width. The driver sits between a rather wide console and a close door, with the feeling of being “squeezed in” amplified by our test car’s all-black interior. Conversely, headroom is generous, and loads of legroom can be achieved by sliding the seat far back, though that effectively deletes the already-tight rear-seat legroom. Suffice it to say that this is a four-passenger car only if all those passengers are no more than average in size. Cockpit storage is meager at best. Although the console box is of decent size—and includes aux/USB/12-volt jacks—the glovebox is barely large enough to hold the owners manual, and besides the usual two console cupholders and door map pockets, there’s no other place for incidentals. Trunk space is likewise limited. The trunk is wide at the rear (for golf bags) but otherwise narrow, there’s no under-floor storage, lid hinges dip into the cargo area, and the trunk opening is rather small. The rear seat backs can be folded, but they rest a good seven inches above the level of the trunk floor, and the passage between the two areas is small. As much as I’m not particularly enamored with some other aspects of the IS 350, dynamically, it’s a gem. 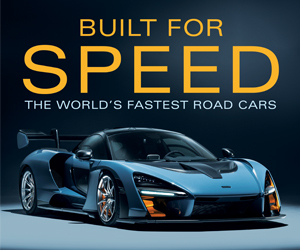 The silky-smooth engine makes strong power that results in rapid takeoffs from a stop, and combines with the transmission’s quick kickdowns for impressive passing response. I averaged 20.7 mpg in all city driving on the required premium fuel, which is decent for an all-wheel-drive car with this level of performance. Our tester was fitted with optional low-profile tires—something that typically results in a rather rough ride—yet it soaked up bumps quite well while exhibiting good cornering grip and taut control. Too often, relatively high-powered cars are disappointingly brutal on Chicago’s potholed streets, but the IS 350 offered a satisfying combination of power, cornering, and comfort that few others do. Our IS 350 AWD test car base-priced at $41,700, but was fitted with another $7500 worth of options. The extra dollars brought some useful features such as blind-spot monitor with cross-traffic alert, heated front seats, active cruise control, and the aforementioned rearview camera, along with some other equipment one could probably do without. 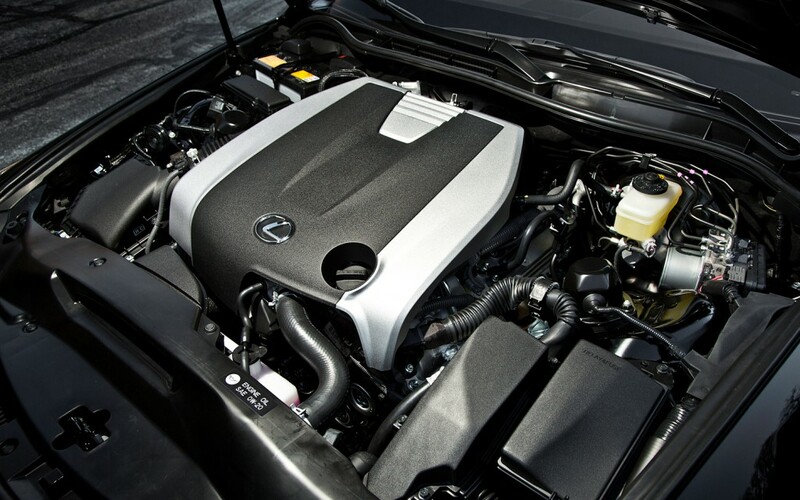 Despite some limitations, there’s certainly justification for the IS 350’s “premium” label. But depending on your priorities, there might be less justification for its premium price. First, this is one slick, refined car. The drivetrain is both impressively silky and wonderfully responsive. Second, despite the beefed-up F Sport wheels and tires, the IS rides as smoothly as any car in the class. Third, I really like the mouse-control interface in this car. I have some complaints regarding how certain controls are organized on-screen, but for the most part I find the “mouse” an elegant solution to the control problem other luxury makers are trying to solve with a faucet handle, er, knob. Fourth, this car is cramped. I know I am a big guy, but I find getting in and out of a Porsche Cayman easier than squeezing in and out of the IS. A shame, because I rather like the car. Read our review of the Lexus RX 350 here. Read about the upcoming Lexus 2015 NX here. Watch the Steve and Johnnie video road test of the Lexus ES 350 here. 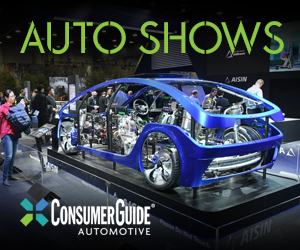 Written by: The Daily Drive staff on November 22, 2013.